Why Do Happy Women Make Me Cry? I know I’m still not quite right after the death of my Mum, (see tribute here) but I think this picture would have made me cry anyway. Women happy in their own skin and having fun; isn’t it glorious! The picture was sent to me by Despina Senatore. 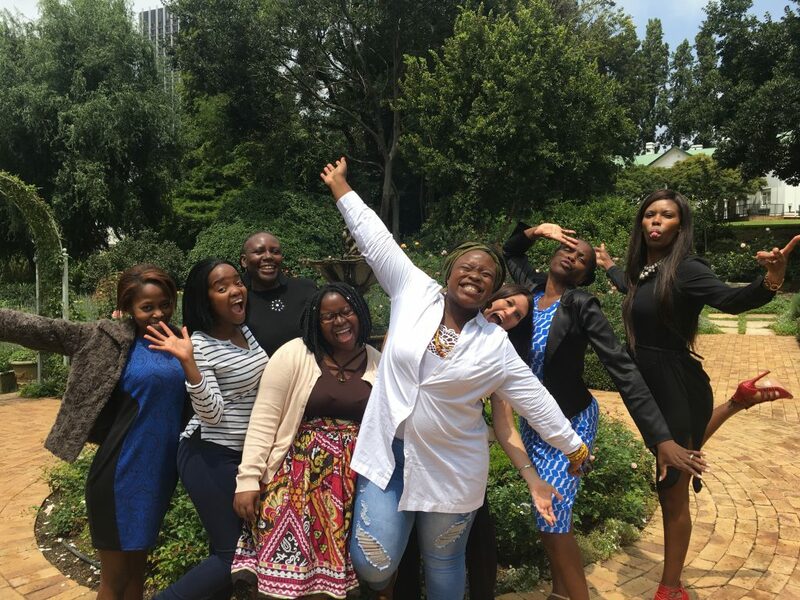 Despina is a licensed RenewYou trainer in South Africa and the photo is of some of the women who attended her last RenewYou course. She always shares with me the comments and pictures. I also have a very formal looking one of them standing in a row but this one captures their pure joy and exuberance. I love it, I think it will always make me smile. It also came hot on the heels of my last post, a review of Jess Phillip’s book, Everywoman, in which she exhorts women to just be themselves and get out there and make their voices heard. Don’t wait for perfect, just have a go. The spirit of RenewYou. I think I have to ‘blame’ her for this post. It also makes me cry because, some years ago when I wrote RenewYou (sat at my kitchen table), it was just for me to use with the women and organisations I personally worked with. Although frequently asked I was reluctant to allow other trainers to use it. I was scared, in all honesty. Scared they might not think it good enough and people would say it was a waste of money and time. Co incidentally, it was a young African women who tipped the balance for me, Chinomso. She was convinced the course would work well in Africa and over a period of months convinced me to licence it to the trainers. The irony is, that for all sorts of valid reasons we never actually did the course in Ghana, her intended country, but it did spur me on to let it go. And now it’s had two outings in Johannesburg with glowing feedback. At the risk of sounding like a rubbish Oscar’s acceptance speech I feel really humble and moved. I can’t quite believe that something I wrote has been delivered to women in Australia, USA, France, and of course in the UK. I haven’t made millions from it. That was never the point. The point was to spread the word and increase women’s confidence and to try and make a difference. All my trainers help me do that every day. Maybe not by delivering RenewYou but by working with women via coaching and other courses to overcome some of the prejudice and old fashioned systems that sap our confidence. So, my question to you is, what is in you that can share with the world, or your bit of it? What light are you hiding under a bushel for fear of looking stupid, getting ‘called out’, or failing? How many women are keeping quiet for fear of speaking up? Are you one of them? Be bold, my darling. Women are still an untapped, wonderful resource in this world and your voice and your contribution is needed to make it a better place for everyone. Stand tall and do your thing! I for one, will be clapping (and probably crying) loudly for you!